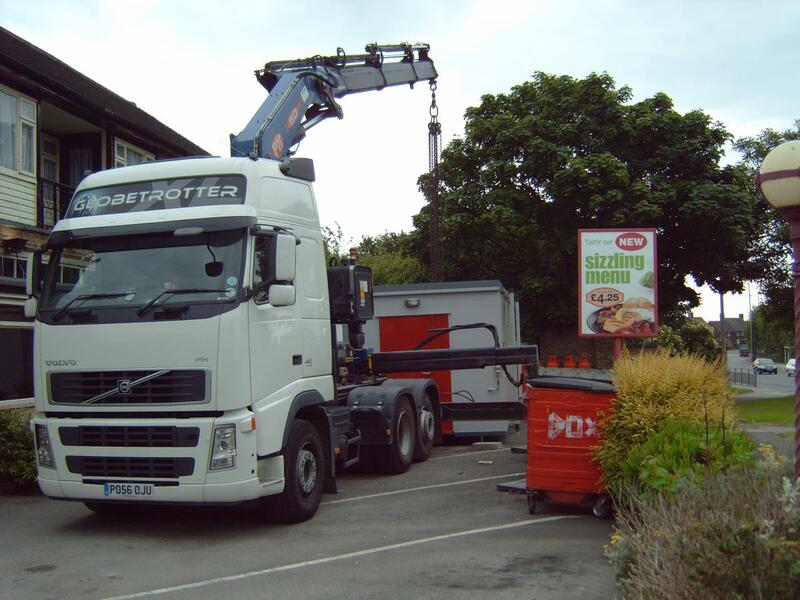 A temporary kitchen providing 400 covers for the Hillfoot Pub, Liverpool during planned kitchen refurbishment work. The installation used our Multi kitchen, an "all in one" solution giving busy chefs a self-contained unit with integrated dishwashing. The kitchen contained everything they might require for regular food production including: range, grill, canopy, fryer, sink, wash hand basin, water heater, rack, fridge, freezer, dishwasher and prep tables. A good example of a tight installation with regards to accessibility. Whatever space you have available, we will find a way to get our units into it!